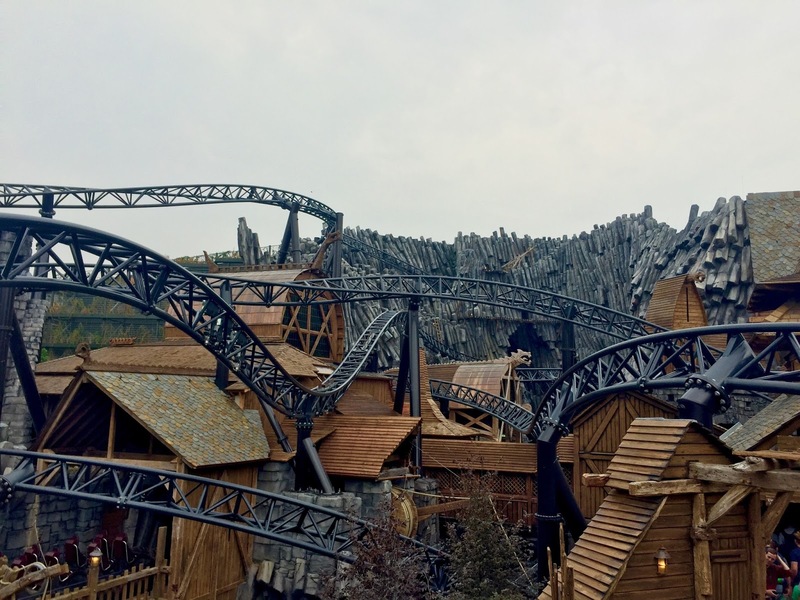 This past weekend, I had the great chance of visiting Phantasialand and reviewing the park's newest themed area called Klugheim with two additional roller coasters called Taron and Raik, which I was extremely excited to ride. It was really special for me too since I got to do so just three weeks after their grand openings (the section and the roller coasters were opened to the public on June 29, 2016). 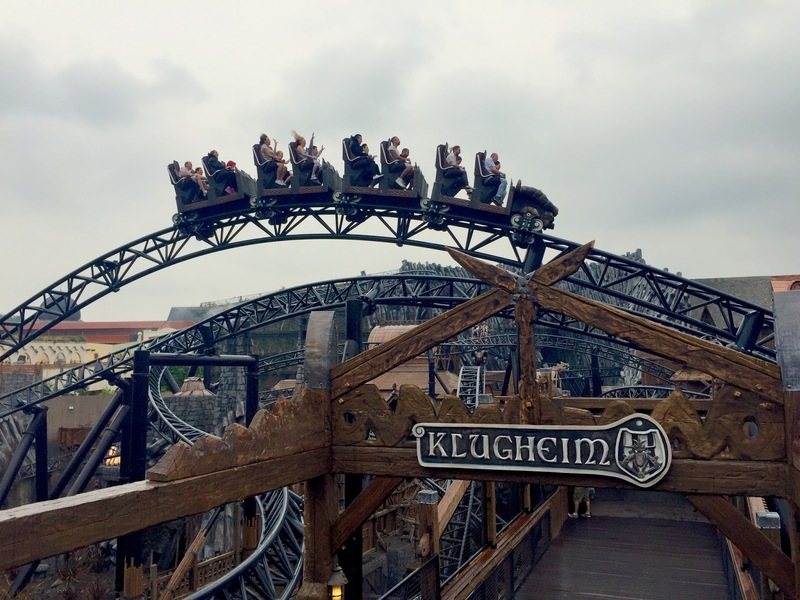 Klugheim is a true game-changer for Phantasialand. 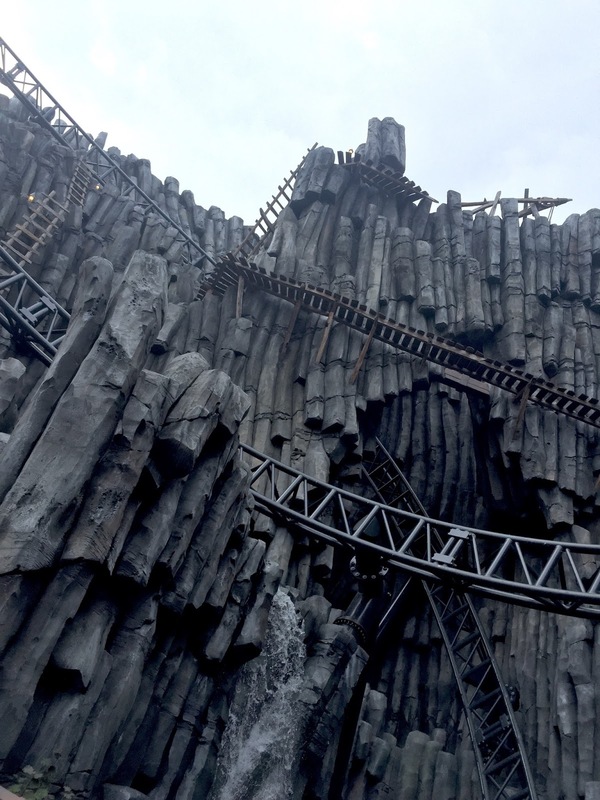 Both Taron and Raik truly unique, custom-made roller coasters that can't be copied anywhere else in the entire world not just because of their intricate and incredible theming, but also extremely complex planning and construction processes that require specific terrain spaces. 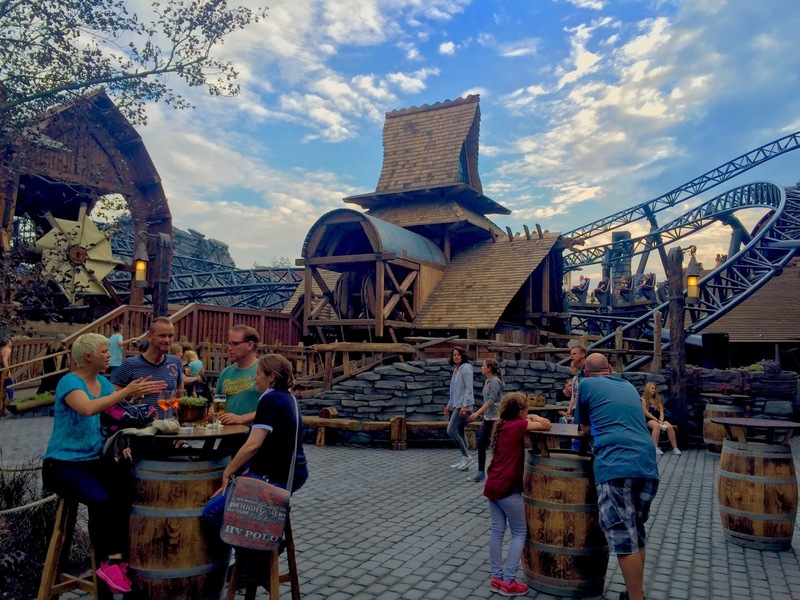 With these new additions, Phantasialand becomes a must-visit theme park in Germany, especially for those who are looking for genuine, immersive, and one-of-a-kind theme park experience. The entrance pathway to the new section of Klugheim with Taron passing over right above it. Notice the woman's hair on row 5 - that's how crazy Taron's airtime is. The centrepiece of Klugheim is an Intamin multi-launch called Taron. To say that this is merely a centrepiece is an understatement. Taron, despite being a roller coaster, is the themed area itself. In fact, it's pretty clear that Klugheim was created in order to fit in with the roller coaster instead of the other way around. The result? Well, I will let you look at the photos below as a starter. Taron's first upward overhead curve following the first launch. Taron's track effortlessly meander throughout the Klugheim area - a marvel of engineering and creativity in theme park industry - a sight that will leave most people in wow for the first time. Taron is a visually impactful roller coaster. Most people who see it for the first time will be wowed by the sight of the roller coaster meandering through the many sceneries of the area: going up and down, left and right, snaking through even the smallest gaps between buildings. Once people see this coaster, they know that they are in for a treat - a HUGE treat - that they won't find anywhere else but at Phantasialand. In addition, Taron is also a roller coaster that is so distinct thanks to the sounds it creates. With its own sound effects surrounding the area whenever the roller coaster is launched - both the LSM launches themselves, as well as the sound effects synchronized to the moments the trains pass certain points - Taron is not just a roller coaster; it's also a sensory experience for the coaster watchers. One of the most intense moments on Taron: being thrown down an over-curved bank at the speed of light. Taron uses overhead restraints similar to those used on Hersheypark's Skyrush - one of the most intense coasters I've ever been on, which you can read about here. Unlike Skyrush, however, the restraints on Taron work perfectly: no pain, no bruises, no discomfort. This is as open as restraints can be, giving you the feeling that you're actually flying like a bird. Taron's restraints simply sit on riders' lap and leave everything else free, leaving a lot of room for riders to move around and giving them a sensation of "flying" in the air. Taron starts its course by slowly snaking to the first launch and then stopped. As the soundtrack and sound effects kept playing in the background, the train is then launched towards the first upward curve. The first half is what I can call the "warm-up" mode, as the train moderately races through the many S-curves, going underground and over the pathways to complete its complex layout. At this point, riders might be thinking, "Oh okay, it's not as intimidating as it looks..."
... but then comes the second launch and everything just goes totally bonkers from that point on. The second launch sees the train being accelerated once again (without stopping) to a top speed of 72.7 mph (equal to 117 kph) and directly into a forceful left upward curve. From the second launch until the very end, Taron is all about throwing you up and down, left to right, and in- and out-of-your-seat wildly. It's one of those roller coasters that just won't stop until it hits the final brakes. While the roller coaster itself is phenomenal and definitely will bring in more interest to the park, Taron's true highlight is its layout. 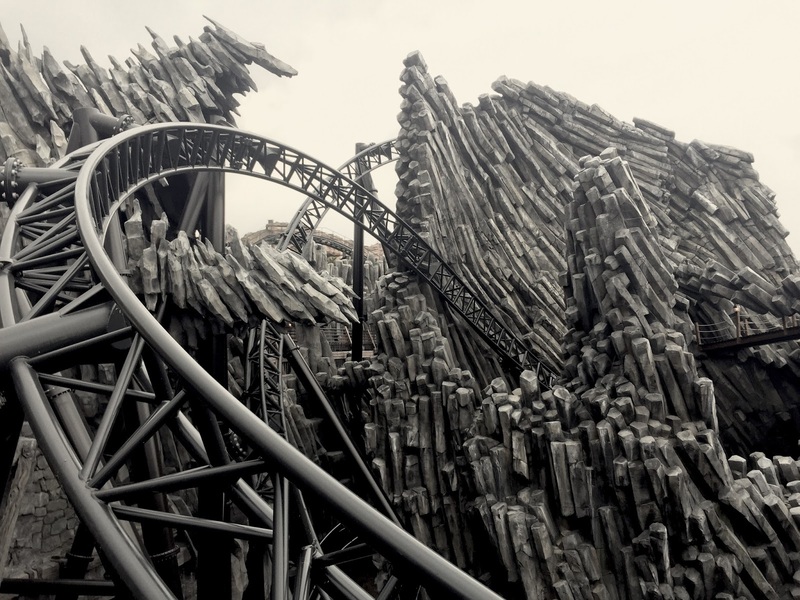 I don't think I've ever seen a coaster tracking or layout as complex as that of Taron: effortlessly curving and swooping all around the area, through the rock works and buildings, going deep down the ditch, around the pathways, and so on. One couldn't help but to think, "How the hell did they build this thing?" This is a roller coaster that was most likely a logistical and planning nightmare during the planning and construction period! Considering all aspects of the sceneries and such, Taron is arguably the world's most exciting roller coaster. With the launches and head-choppers, as well as the forceful layout, it's a unique roller coaster that can't be copied anywhere else. The experience of swooshing through tight-woven layout, rockworks, buildings, and tunnels is simply an unbelievable experience that will get you talking! They even managed to install a fully-functioning waterfall! What impresses me even more is how Phantasialand still manages to insert things that help to set up the vibe even more! Even though the area is so packed and dense, riders still get to enjoy the experience while, well, drinking German beer. 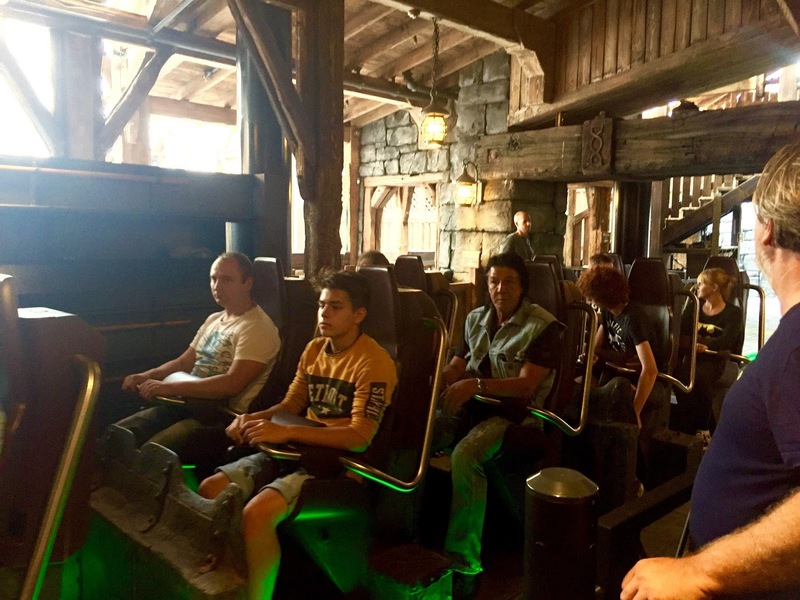 Not a roller coaster fan and want to sit Taron out? How about a nice gigantic glass of German beer while waiting for your parties to come out? In summary, Taron is a game-changer for Phantasialand. 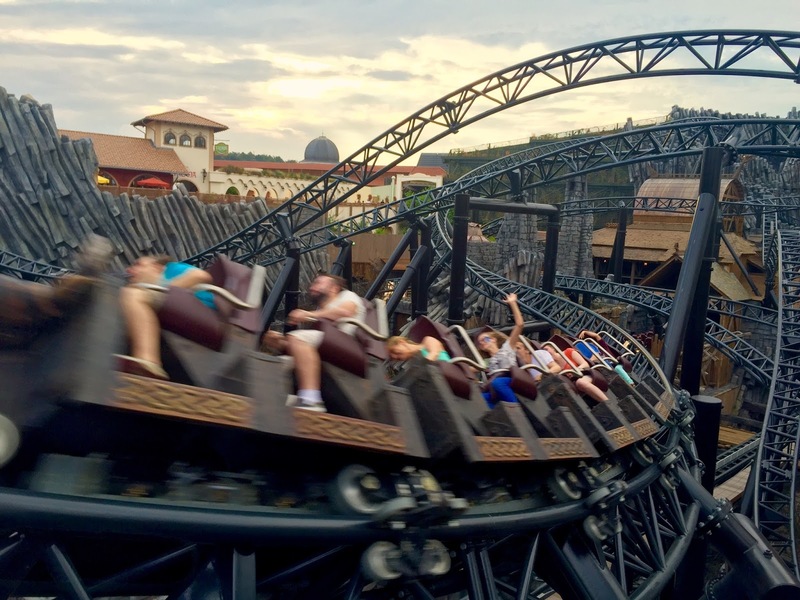 The addition of this one particular roller coaster makes Phantasialand one of the smallest must-visit theme parks in the world. In addition, Taron itself is a marvel of engineering and creativity, a feat that no one in the industry should take lightly. Being able to bring this roller coaster to life is an achievement on its own. 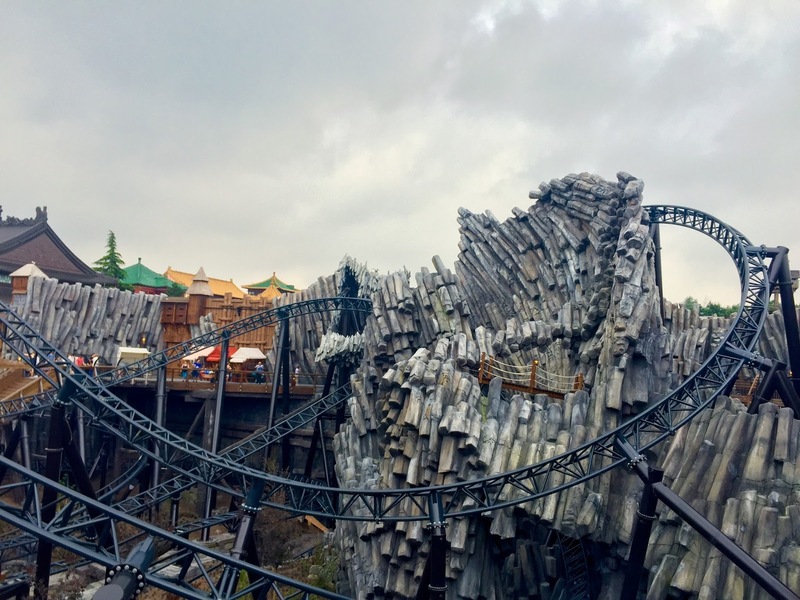 What else to see in Phantasialand other than the brand new Taron? Plenty, actually! Check out Part 2 of my Trip Report here! I agree. I've only done coasters in the Netherlands, Belgium and Germany but Taron is an amazing coaster and is definately my favorite by a long shot! Sure, the coaster is great but the theming also adds so much atmosphere that it makes all other coasters I know bland by comparison. Also, it's not just a climax after the first drop or launch, like many others, but a ride that starts great and ends up even better in the second half! With a minute and a half ride time it's also quite a long experience compared to most coasters. Inversions are absent but truth be told, I did not miss them. If you're even only mildly interested in coasters and in the neighbourhood you simply cannot afford to miss this one.